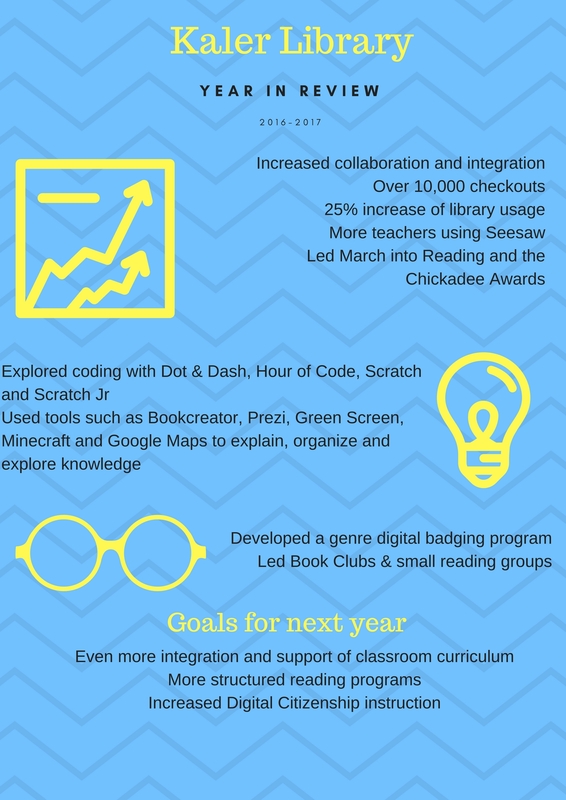 A sample of genre digital badges distributed to 3rd graders using Google Drive. 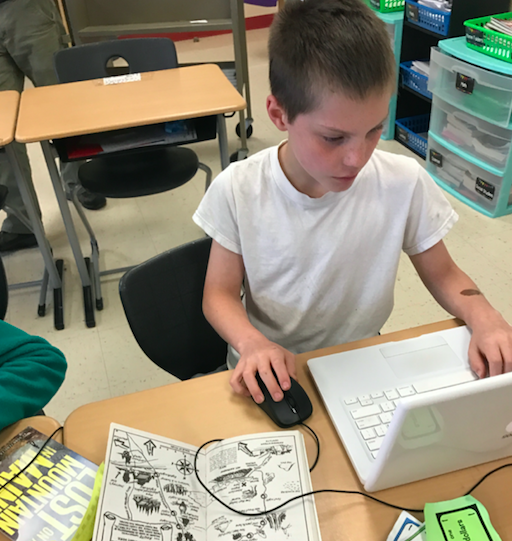 4th Graders designed a comic book using Book Creator for their Maine Animal Project! 1st grade students teamed up with their 4th grade book buddies to put on a puppet Readers Theater complete with a green screen background. The wordless Chickadee Nominee Float by Daniel Miyares provided an example for technology integration and creation with a read-outloud. 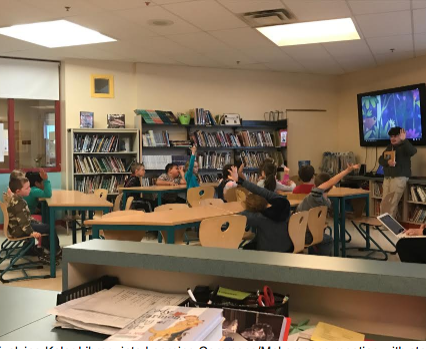 Many students at Kaler enjoyed using Minecraft for Education. 4th graders used in text examples to collaboratively recreate the setting of novels they read as a class. 5th grade students recreated key landmarks from their United States region studies. 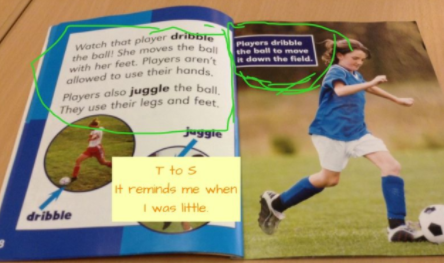 2nd grade students used Book Snaps in SeeSaw to make text connections. 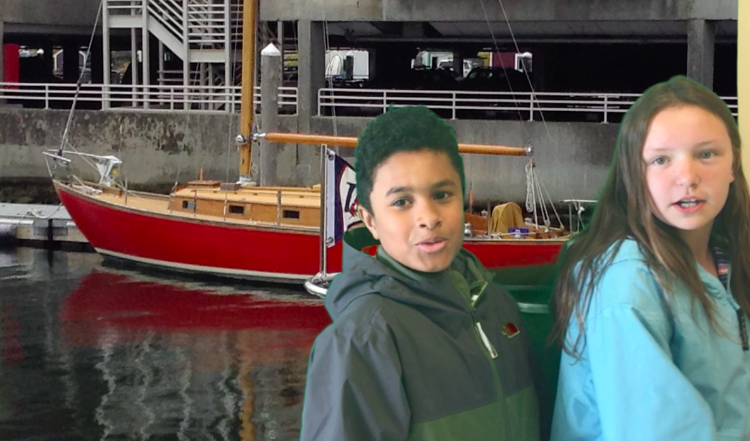 5th grades students also used the green screen and iMovie to create movies promoting the Portland Waterfront.